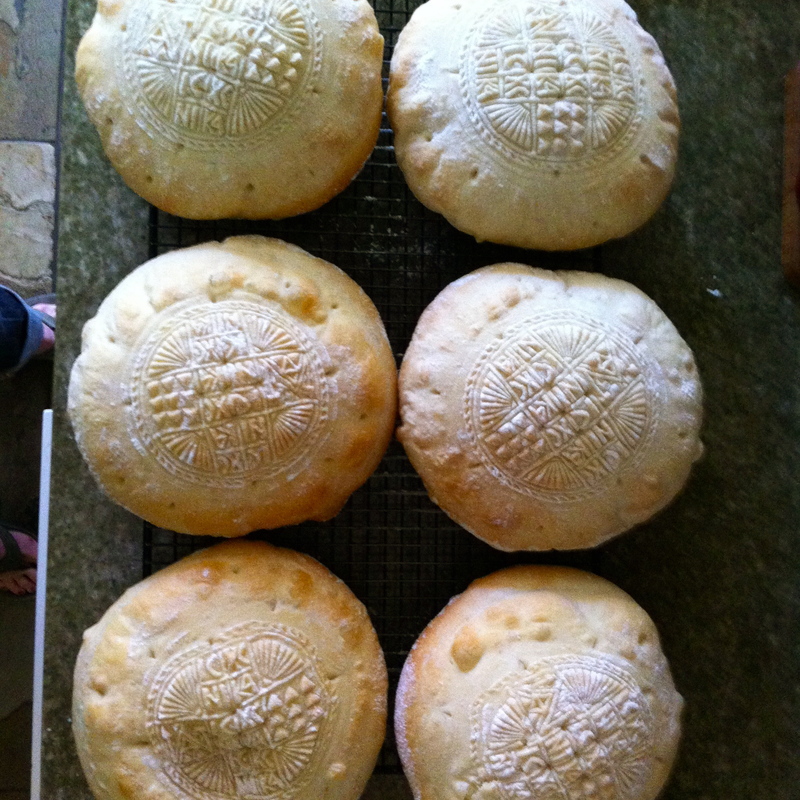 For several years I’ve wanted to post about making prosphoron, the bread Orthodox Christians bake for communion in church. From the theology to the how to’s, I could write a thousand posts and not run out of subject matter. But so many failures on the baking side of things have left me unmotivated, afraid I might pass on more bad advice than good! Who wants to learn how to bake prosphoron from someone whose loaves consistently split and look like alien beings? And how humbling is it that I wrote a whole children’s book about this very subject?!!! However…I’ve hurdled over some important obstacles recently and several consistent batches, one after the next after the next, have fed my courage. Glory to God! What: Prosphoron is singular for the Greek, Prosphora. It literally means offering. Some traditions call for the baking of five loaves of bread as the offering, while others bake just one very large loaf (and some others make lots of tiny little loaves…). The bread is leavened and only wheat flour, water, salt and yeast are used. When it’s my turn to bake, I make six loaves just in case one isn’t usable. If they are all usable then my priest simply freezes the extra loaf in case he needs emergency backup! The seal that I most often use is resin, and made by Father George, who has a website all about prosphora, complete with recipes and historical information. Where: Baked in an oven; of course! I’d love to have a community wood-fired oven, wouldn’t that be amazing? I should put that request in our church’s comments box! When: Prosphora is baked for every Divine Liturgy, any time the faithful are taking communion. At our church that means every Sunday, plus every feast day (there are 12 feasts throughout the year), plus every Wednesday during fast seasons, and at a few various other times. Orthodox need a lot of prosphora throughout the year. How: Baked with love, and prayers. I’ll post a recipe soon–that will be my very next task. Right now I’m using an adapted recipe from Sacred Meals, written by Father John Finley. 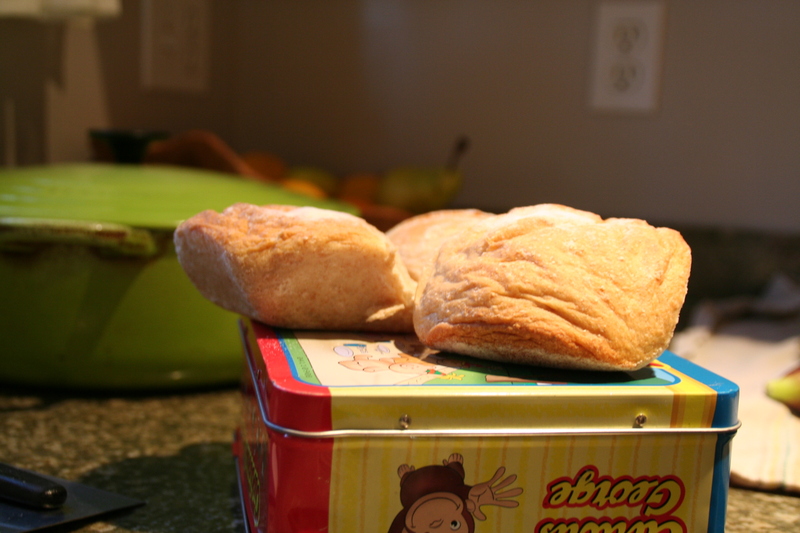 It has a second short rise, which I find important for hand-shaped loaves. I haven’t yet tried baking in pans, nor in pans that have a seal directly imprinted in them. Why: Because offering something to the church community that we’ve labored over is lovely. Because being a community means everyone contributes–something. Plus baking bread is like participating in a miracle, and I just love those little, everyday miracles. Questions: If you have any specific questions that you want me to address sooner rather than later, please leave them in the comment section! You know… the DMV is an interesting place to park yourself. It really is one of the great equalizers in this world. Everyone who drives–every adult–has to cart him or herself down to the department of motor vehicles at one time or another. It’d be a fascinating place to work (for a week of research!). So there I was, camped out at the DMV, waiting for paperwork to be approved. The concrete bench was in the shade, so I sat next to a fellow also doing a bit of waiting. It’s amazing what you can learn about someone in just a matter of minutes. Seven kids, three grandkids, works for the state on a road crew, grew up in the San Fernando Valley, likes rhythm and blues, has to wait until he’s 70 to retire–twelve more years, he said. He sat there, chatting, with his ipod perched on his shoulder, next to his ear. He hummed in between our intermittent conversations, so happy that he wasn’t doing asphalt in Palm Springs where it’s currently 116 degrees, all the while listening to his Jill Scott Pandora station. And so I gave him that extra loaf of bread I happened to have lugged downtown. A still warm loaf of French bread that I’d baked earlier that day.